Have you too fallen into this Spiritual TRAP? Many of us have been brought up or adopted the belief that the physical world, body and mind are separate than Spirit or Soul. The body, mind and your desires were considered lesser; and the ultimate goal was to transcend the body in order to ascend to higher, more heavenly realms. The result of this misconception is that many spiritual people (myself included) longed to leave their body and be “liberated” from their form and the physical world. As a result, you can become unanchored, spacey and disconnected; in other words, not fully present with the world around them. This leads to disempowerment on all levels, often meaning that your ability to accomplish your dreams is seriously compromised. Or even worse, you learned to mistrust and judge the physical world as nothing but a scary place full of temptation and egoic desires… in other words, not allowing you to be happy, healthy, wealthy and wise, right here and now. What is the “Key to the Portal of Perfected Light” and how this energy technology can be a powerful tool for personal healing and grounded ascension? Register Your Seat in the Webinar Now – Click here! This webinar is a taste of my Divine Human program that blends the magic of energy alchemy with ancient wisdom secrets to increase your awareness and access to your divine inheritance of Manifesting your Dreams, Energy Healing, Intuition, communication with Ascended Masters, Archangelic Realms, and Union with all Life with ease, grace, and abundance. 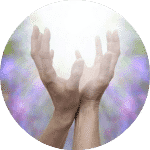 The Divine Human program harnesses the power of unique energy technologies combined with spiritual adventures assisted by the Ascended Masters, Archangelic Realms, and the Elemental Kingdoms— in alignment with your heart, and in collaboration with the Soul of All. You will discover infinite ways to activate your inner divinity — and create a richly rewarding, soul-full, joy-filled, abundant and accomplished life. Kumari is a spiritual evolutionary and catalyst for spiritual adventurers to awaken and reclaim your soul power and sacred connectedness, and feel whole and safe thriving in alignment with their divine purpose.